A compound bow is a constituent of the game of archery with which perfect aiming could be made. It has cables and pulleys by which its limbs could be easily bent. The extreme stiffness of its limbs facilitates additional advantage in drawing. But it needs to be properly tuned to get a perfect shooting. Although, archery dates back to the days of nomads, the modern day archery differs from the olden day’s archery both in structure and use. Earlier, using a bow called for considerable strength of the arms and perfect synchronization of hand and eyes. But, in the modern day’s archery, the bow is provided with levering system, cables and pulleys for facilitating advantage with the bending of the limbs. Temperature and humidity have no adverse effect compound bows, that are very energy efficient. If not acquainted, tuning the bow could be a strenuous task. You can get the best output if the drawing force is maximized. But, you have to measure the basic setup by checking and adjusting gradually. First, the laser alignment should be placed on the pulley or cam and the laser is aligned with the idler wheel. After compressing the bow limbs, the cable connected to the side of the idler should be twisted or untwisted so as to align it with the cam. Then you need to remove your bow from the bow press and make a checking by means of a laser alignment tool. For adjusting the height of the cam, few twists in the cable may be adjusted or eliminated. 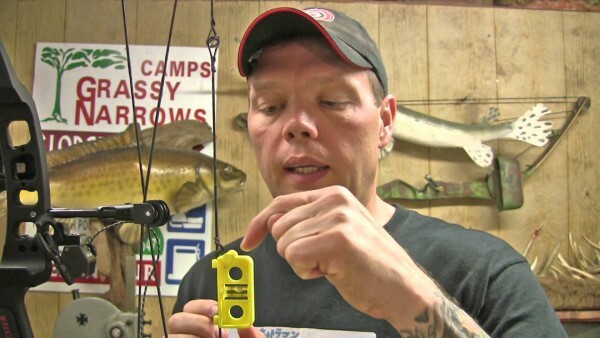 The peep sight should be adjusted to the required height. Spine of an arrow determines how stiff it is. It varies in accuracy. An incorrect spine will result in the minimal quality of the output of the shaft. Therefore, the arrows are required to have the right extent of stiffness for achieving correctness in trajectory and for hitting the target point correctly. This can be done either through a bare shaft panel or a powder test. 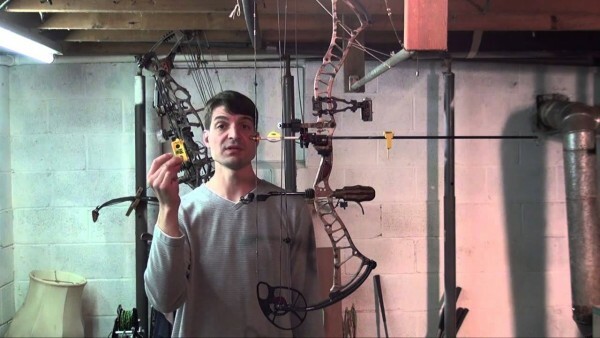 You will find this process appropriate when you hunt with a bow. Always have 3 fletched arrows and 3 bare shafts. You can stabilize the flight of arrows by using feathers in a field exercise. If you shoot the arrows with bare shafts with broad-heads, the fights may be unpredictable. Therefore, mask the end of the bare shafts with few strips of tape and then remove the fletching by approximately 20 to 30 grains. This way, loss caused due to removal of fletching is compensated. The fletched arrows should be equal in weight to the bare shaft. Use both types of arrows for target practice. The aligned bare shafts make the required spine adjustments in the arrows. Before turning, spray foot powder on the vanes for eliminating the fletching contact so that you can have better hitting on the practice range. This way, the crucial areas will be lighted by the powder, enabling you to correct and make necessary corrections. It is not advisable to screw the broad-heads onto the arrows before thinking about the blade alignment. When you release the arrow, there should be no mismatch between the broad-head and the vane. Vane is a thin piece of plastic used to make a fletching. It will be more helpful for controlling, if you take a longer vane. It is better to take 4.18 inch vane along with extreme right spiraling, for better controlling. To have the best test, shoot 6 fletched arrows for a target at 20 yard. Your center shot should be accurately prevented to prevent arrows, going awry. 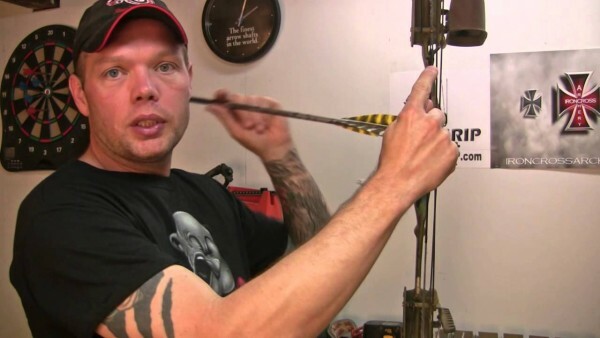 While aiming your sight pin to the target, if you draw the bow to your chest, an excess weight will be pulled. For correcting it, the weight of the bow is adjusted for allowing a steady hold on it longer. A Composite Bow is a kind of traditional bow which is made of horn and wood, laminated together. At the drawn position, the sinew is stretched on the outside and the horn, compressed on the inside. Wooden Bow & Arrow can be made of hard wood such as oak, hickory, teak or black locust.